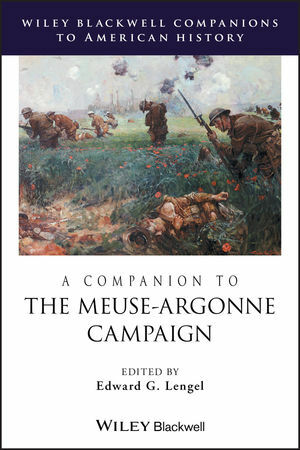 A Companion to the Meuse-Argonne Campaign explores the single largest and bloodiest battle in American military history, including its many controversies, in historiographical essays that reflect the current state of the field. Edward G. Lengel is Professor and Editor in Chief of the Papers of George Washington documentary editing project at the University of Virginia, and has edited several volumes of the Washington Papers. He is the author of six books, including World War I Memories: An Annotated Bibliography of Personal Accounts Published in English Since 1919 (2004), To Conquer Hell: The Meuse-Argonne, 1918 (2008), This Glorious Struggle: George Washington’s Revolutionary War Letters (2008), and Inventing George Washington: America’s Founder in Myth and Memory (2011). He is editor of A Companion to George Washington (2012, Wiley-Blackwell).